Sy Smith Live at Charlotte SHOUT! 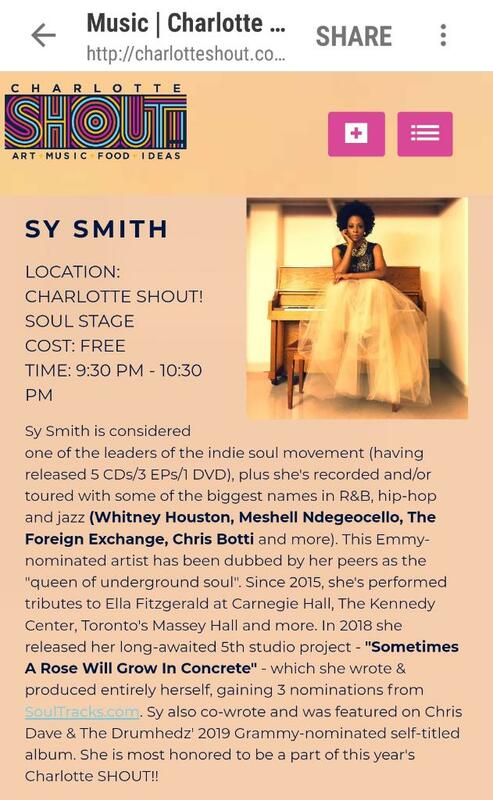 Sy Smith performs live at Charlotte SHOUT! This is a FREE EVENT! No tickets needed! Sy will perform at 9:30p so get there a little early and secure prime real estate on those Charlotte streets for this show!